Unwanted guests are never fun, especially when you can’t ask them to leave. Luckily, Brandeis pest control companies have no problem kicking them out. Whether there’s a rodent in your basement or insects in the attic, call your local Brandeis exterminator to take care of them — do not try to wrangle them out yourself! Not sure which type of home pest control service in Brandeis, CA can tackle your issue? Read profiles and ask about their past experiences to get a good idea. Ecologically Friendly Rodent Control & Attic Cleaning Services. Rodent infestations are one of the most common problems that homeowners have to deal with, and most homeowners are likely to witness an infestation at least once. Our competent team members have experience performing attic cleanup in commercial and residential properties throughout California. Rodents can often cause severe damage by their presence, often chewing through electrical wires or causing noxious odors by leaving their droppings everywhere. 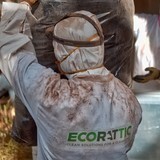 EcoRattic™ is your rodent cleanup specialist, and we offer a special rodent decontamination package that will not only take care of your immediate rodent problem, but also comes with a Lifetime warranty. Additionally we offer attic clean-up services to remove clutter, Pollen, Viruses & Bacteria, Mold, Pet Dander, Odor and other contaminants. Our friendly service team will be happy to clear the garbage, clutter and contamination from your attic, and we will take care not to damage your property. Family Owned and Operated, We care about your termite issue as much as you do and we're driven to provide great service and results. Helping people maintain their property investment be termite and dry-rot free makes us happy. ACME TERMITE COMPANY specializes in termites and wood-destroying pests and organisms only; as a specialist in termite control our family-owned company will treat your investment like it’s our investment. 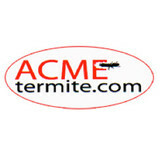 Acme Termite Company will come, at no charge, to your residence or commercial property to provide a professional and thorough FREE termite inspection which includes a FREE written report, an estimate detailing any wood destroying pest or organism, and measures to put your property back in order. 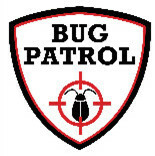 Established in early 2013, Bug Patrol mixes exceptional pest control services with environmental activism. Our philosophy is to be as conscious of the natural world as possible while keeping homes and families protected from invasive pests. That's why we use only environmentally responsible products and ecologically secure practices. While mice, ants, and bugs naturally do what they do, we do what we do to keep them in check. Y&S Home Builders is one of the top attic insulation installation contractors in the area. We have several years of experience with removing and installing insulation materials (cellulose and fiberglass) in attics and crawl spaces for both residential and commercial buildings. 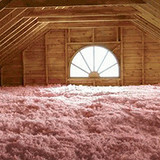 Y&S Home Builders can help you insulate your attic to keep your energy costs low. Insulating your attic is definitely one of the most beneficial projects you can do for your home and most importantly for yourself. Y&S Home Builders is licensed, bonded and fully insured. Contact us for a free quote, and allow us to be your insulation installer today! We are professionals and will make sure to keep our costumers happy and satisfied. We offer "green" solutions that actually work (borates) and have been used for more than a century to control and eliminate wood destroying organisms such as termites or dry rot. Their efficacy has been proven countless times both in businesses and residential settings! I am excited to provide our customers with the best and safest products available! Our technicians and inspectors are all state licensed and professionals. We are fully insured ( Commercial Auto,General Liability and Workers Comp),bonded and licensed. Commercial & Residential Pest Control Top rated pest control company with 50+years of pest control experience. Pacific Exterminators was built out of a desire to better serve and help the local community keep their homes pest free. Locally owned and operated in Ventura County. Serving Ventura & Los Angeles counties, including Thousand Oaks, Ventura, Simi Valley, Malibu & Santa Monica. Specializing in beg bug, termite, ants, rodent control services more. Contact us today! Treebark Termite and Pest Control began professionally eradicating termites when the industry made advancements in low risk pesticides. Most Termite Companies Near Me and You want to use "Old" poisons that smell like Oranges or pump straight death gas into your home. You know the way their grandfathers did it. Professional Termite Control Services from Treebark is local to you and offers products deemed advanced by industry standards. 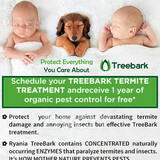 Termite control without toxic chemicals. Termite Inspections are free. Termite Damage repair estimates. If you are looking for an estimate for termite control call us as we do not fumigate for control. Family Owned and operated Termite and Pest Control company serving Ventura, Santa Barbara, & LA counties residential, commercial, and HOAs pest control needs since 1942. We specialize in Alternative to fumigation termite treatments. We are an Organic Pest Control Service. We are licensed bonded and insured for your protection. We employ the highest level employees in the industry and pride ourselves on our vast experience over our competitors.